In the next few days I’ll be unpacking an essay I wrote for my Licensing (you can cheat by reading the whole thing now) – the application of my Masters thesis on communicating as Christians using worldly mediums to social media. This series could be more generically titled – all social media is messing with your head. Because all communication mediums mess with your head. And by mess with your head, I mean “rewire your brain.” And by rewire your brain – well, I mean that literally. Have you noticed that you habitually return to certain things – even without thinking? I have. While I was procrastinating during my last little bit of college work I even found myself typing “facebook.com” into my browser, when I was already on Facebook. Then I posted a Facebook status about my mistake. Do you think slow internet is just about the worst thing in the world? I’d hazard a guess that a significant number of “first world problems” shared online have something to do with phones, internet access, or happenings on social media. It’s not just Facebook. But whatever your poison – social media is changing the way we live. Social media platforms — whether it’s Tumblr, Twitter, or Facebook — are designed to keep you engaged. They are constantly adapting to maximise your eyeball time. Remember Farmville? None of my friends play Farmville anymore. I don’t play Farmville anymore – and yet, I’m still on Facebook just as much. Communication mediums carry powerful myths, or are associated with powerful myths. Every time a new piece of technology is introduced it is sold with, or emerges from, a myth — myths like ‘efficiency’ or ‘connectivity’ or the promise of a revolutionary opportunity to express yourself to as few (mobile phones + video chat), or as many (Twitter/Facebook/Instagram etc), people as the technology allows. These myths aren’t lies or fiction. In fact the truer they are, the more they resonate with our reality, the more compelling they are. These myths are the big narratives that get us to sign up to new platforms in the first place, the values that systems lock us in to, and celebrate. Facebook is no different. It has myths. It has values. It has a system that is designed to get you to participate, and to keep you coming back. It is the most powerful teller of its own myth. And as the myth maker, and platform creator, it is in the driving seat. The changes it makes – to its design, or what you see in the news feed – are changes made in line with its values and “myth” – changes designed to keep you engaged for longer, building a more detailed profile, to keep you clicking and interacting – so that companies have more compelling reasons to spend money getting their product in front of consumers. Facebook changes the way you think. The more you use it – the more your thinking is shaped by it. It’s scary stuff. Especially because as you use them, and think the way they get you to think, your brain is actually rewiring itself. You are being conformed to the image of its world, participating according to its rules. And when it comes to Facebook – as we’ll see below – the results aren’t pretty. Interestingly – this sort of conclusion is something of a venn diagram of multiple academic disciplines. Theologians, media theorists (especially media ecologists), and neuroscientists are all on the same page on this one. They all take the same data, and reach the same conclusions, down different roads. The way we consume and transmit information changes us and our audience, potentially as much as the content we communicate. In Christian theology – we are warned about worshipping idols (anything other than God) – not only because idols are poor substitutes for the very real God, not only because idols are hollow projections of our broken desires, but because idols work in an insidious way – the consequences of idolatry aren’t pretty. Idols shape those who worship them. We become what we behold. We were made to behold God – to be his image bearers, and once we tried to be “like God,” autonomously – that void became empty, and our hearts lead us where they will. Media ecologists are those who study the effects different communication mediums have on the world they operate in, and the people who use the mediums. Social media platforms like Facebook are communication mediums. Communication mediums don’t just carry data – they provide a context for the interpretation of data, and this influences the meaning of the data, and how it is understood. That’s a little technical – but think about it this way – I can tell my wife that I love her. Face to face. With flowers. Or I can post her a message on Facebook with a flower emoticon. The message is the same, the meaning is vastly different – it’s not just about physical presence (though that’s important) – Facebook brings with it a whole heap of assumptions about the value of messages – if I post the message on my wife’s wall, for all to see, that is different to if I send the message to her as a private message. Media ecology goes beyond understanding the impact of mediums on meanings – and looks at the impact of new mediums on the world. There is a growing consensus amongst neuroscientists – people who look at brains for a living – that our brains continue to change as we use them. Like any other muscle. That they are “plastic” – that what we do has the ability to form patterns in our thinking and processing. That we change our heads as we use our heads. That we change our heads as we use technology. Several writers have noticed the overlap between media ecology and theology, the overlap between theology and neuroplasticity, and the overlap between neuroplasticity and media ecology – but there aren’t a whole lot of people out there putting all these insights together. There are a few good books to read at the end of this series. What is relatively clear – if you couple the insights of all of these disciplines – is that social media, as a created “thing” that we use to communicate, with increasing regularity – is messing with our heads. 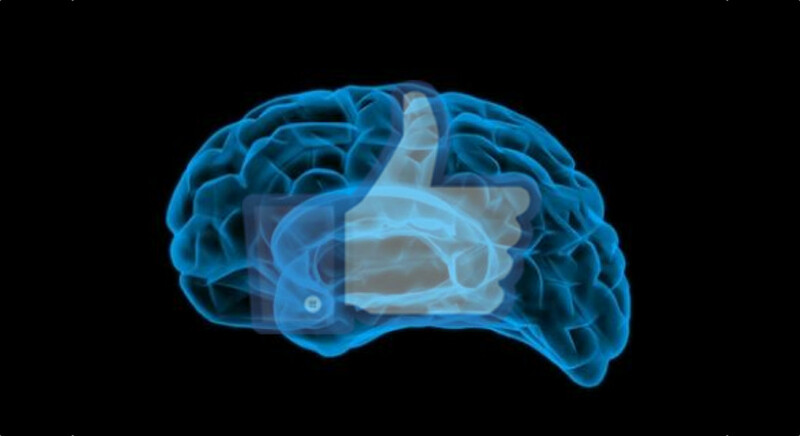 The longer you spend on Facebook – participating in Facebook the way it is set up to reward you, hook you, and keep you coming back, the more Facebook rewires your brain in its image. It makes you a more self interested person. We don’t need much help being more self interested. It also makes you more distracted – especially coupled with the ubiquitous access that comes with a smart phone. You can get this fix any minute of the day (or night). It’s like giving a junkie a limitless, effortless, supply of their drug of choice. In their pocket. Always on tap. And the effect is a change in the default functions of your brain. Carr’s book The Shallows is fascinating. When he talks about “The Net” in the below paragraphs he’s particularly talking about social networks. Social media platforms are designed to be addictive. They are wired not just in a way that reflects the human brain – but to appeal to the human brain – and because of how we use them, they end up changing, and in some cases, replacing, the brain’s functions. “The Net also provides a high-speed system for delivering responses and rewards—“positive reinforcements,” in psychological terms—which encourage the repetition of both physical and mental actions. When we click a link, we get something new to look at and evaluate. When we Google a keyword, we receive, in the blink of an eye, a list of interesting information to appraise. When we send a text or an instant message or an e-mail, we often get a reply in a matter of seconds or minutes. When we use Facebook, we attract new friends or form closer bonds with old ones. When we send a tweet through Twitter, we gain new followers. When we write a blog post, we get comments from readers or links from other bloggers. The Net’s interactivity gives us powerful new tools for finding information, expressing ourselves, and conversing with others. It also turns us into lab rats constantly pressing levers to get tiny pellets of social or intellectual nourishment. 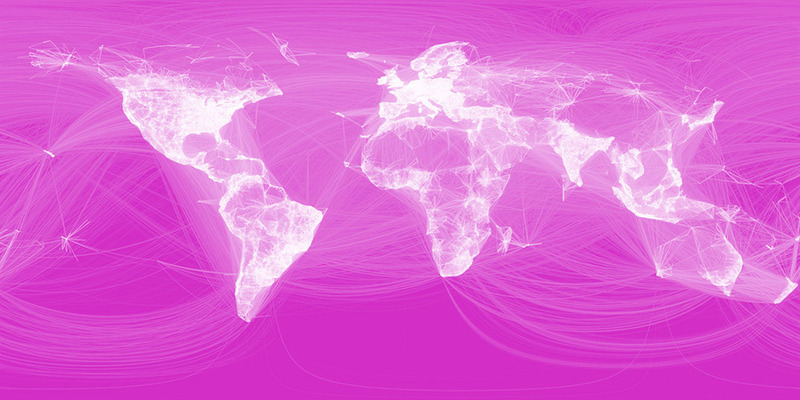 The interactivity of the Net amplifies this effect as well. Because we’re often using our computers in a social context, to converse with friends or colleagues, to create “profiles” of ourselves, to broadcast our thoughts through blog posts or Facebook updates, our social standing is, in one way or another, always in play, always at risk. The resulting self-consciousness—even, at times, fear—magnifies the intensity of our involvement with the medium. Carr’s argument – supported by other neuroscientists (see for example, Choudhury & McKinney, ‘Digital Media, the Developing Brain, and the Interpretive Plasticity of Neuroplasticity’, Transcultural Psychiatry) – is that we are externalising our brain. The internet is becoming part of how we think and store information. Marshall McLuhan – the father of Media Ecology – believed the end goal of technology was that we would become indistinguishable from the machines we use. That seemed a little crazy at the time. He was writing before the internet – but now not so much. Choudhury and McKinney are excited about that. Basically, these guys are saying when your mind is externalised into a social network you really do get a “hive mind” where we function like a swarm of bees (not simply within your own head, or through a sci-fi technological “telepathic noosphere”), but because our thinking is happening in shared spaces, influenced by all the participants in our network. Carr thinks that’s bad. Others like McLuhan, Choudhury, and McKinney that it’s good, or neutral. But what are Christians to think? Well. That’s the next post. But what do you think? Can you see how the social networks you participate in – or your smart phone – is changing the way you think? God, Telstra, and the iPhone: What’s going to make your life magic again?